Irregularity in menstrual cycle is a sign of hormonal imbalance in the body. Also, sometimes the body may not get enough nutrition daily to be able to sustain normal functions, including the menstrual cycle. Gaps misses or prolonged cycle can all point at a problem. Stress, being overweight or underweight, getting off birth control pills, hormonal imbalance, unhealthy diet, etc can all be responsible for irregular menstrual cycle. Balancing hormones is key to get a regular period, and how to balance hormone here are few natural ways we are discussing which provide a great help to regulate Irregular Menstrual Cycle. Take care of yourself. Physical exercises save us from many harmful diseases but now mostly women’s don’t take care about this. Just sit on a couch, watching movies and eating junk food take your healthy lifestyle into a dark well. 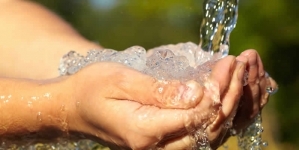 Don’t do this with your health especially when you are a woman and facing the problem of an irregular menstrual cycle. There are many physical exercises that are very helpful, just take an example of yoga. Yoga is a very effective and superb medicine, cures all menstruation-related problems. The amazing yoga postures for irregular periods are Paschimottanasana, Ardha, Matsyasana, Malasana. Keep in mind dear ladies if you are fit, you can be sure that your menstrual cycle will be more constant. All abdominal related yoga exercises are very good for the body and make the muscles contract and move which can result in having periods faster on time. Not only for menstrual regulation, yoga support in reducing stress, regulate metabolism rate, balanced hormones and also maintain your healthy ideal weight. 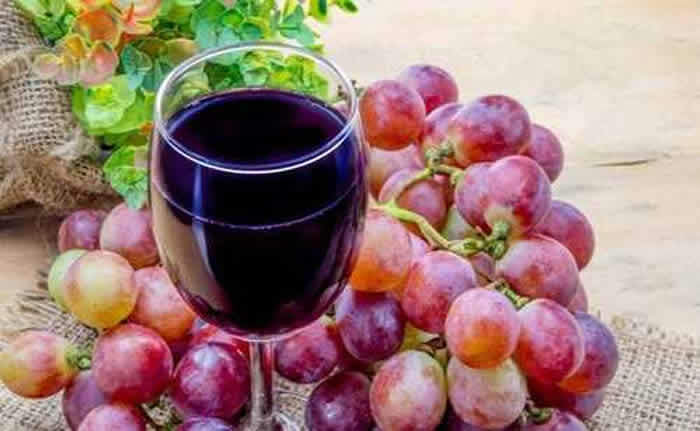 Sweet and sour Grape juice, very yummy in taste but the result of this juice on your health are very precious. This juice is very effective in regulating the monthly periods. As Grapes are a great source of copper, Vitamin A, vitamin C, pantothenic acid, pectin, potassium, and fiber. Drinking a glass of grape juice for three weeks before the beginning of the periods diminish the chances of an irregular menstrual cycle. Carrots are the most common and well famous vegetable that improve the functions of hormones. Carrots are rich in Vitamin A, Vitamin K, potassium, molybdenum, dietary fiber, Vitamin C, Vitamin B6, pantothenic acid, niacin, manganese, phosphorous, folate, Vitamin B2, Vitamin E, and iron. Iron in carrot is the superb element which improves irregular menstrual cycle in a good way. 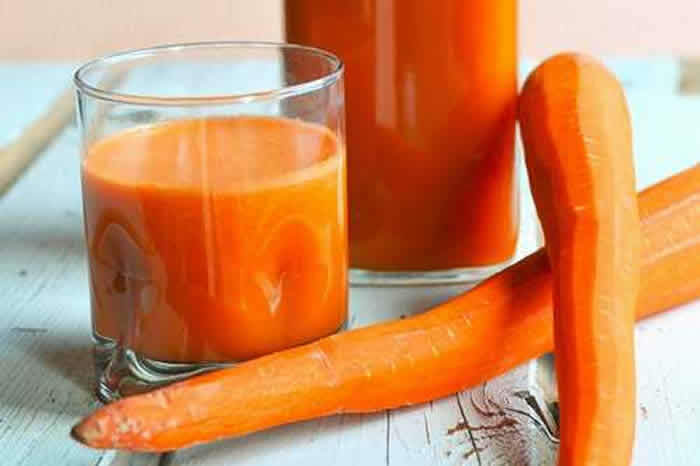 Just only drink one glass of pure carrot juice in morning for at least three months regularly and in results, you experienced normalize of irregular menstruation cycle. I think you all agree with me after knowing the most healthy elements of papaya. This fruit is rich in potassium Vitamin A, vitamin B-6, vitamin B-1, and riboflavin. These healthy elements make papaya a superfood, which controls and prevents several illnesses. The best part of Papaya is that it is very helpful in regulating the menstrual cycles. 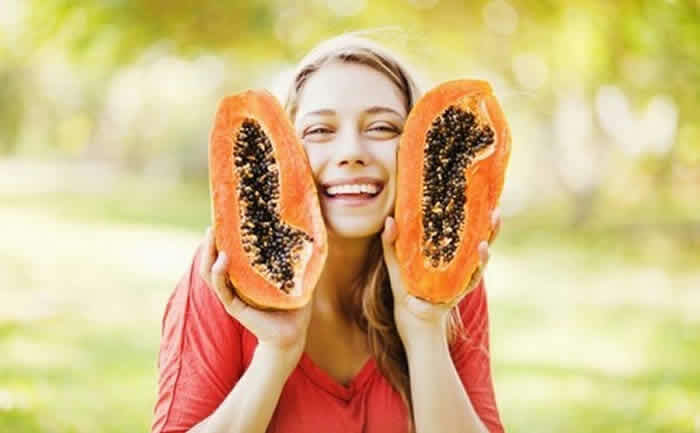 Raw papayas contain a lot of heat that provide support in stimulating the production of estrogen in the body, which results in regulating periods. Especially Unripe papaya helps in increasing the blood flow during menstruation and also play important role in proper functioning of the uterus muscles. This unripe fruit is very beneficial for irregular periods associated with stress and perimenopause. To get wonderful results, eat unripe papaya or drink unripe papaya juice once every day for 2 months. 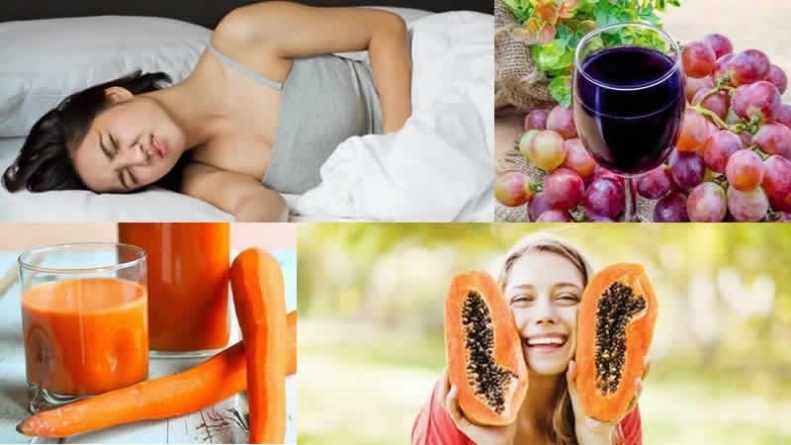 You definitely feel positive results but, never eat unripe papaya during your periods. 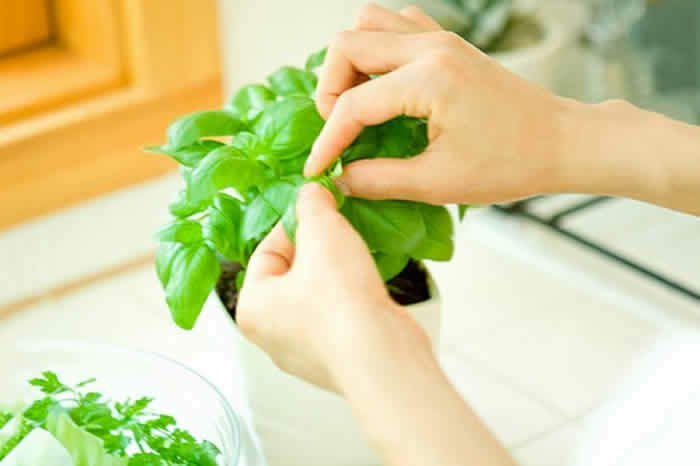 Basil is also called the “king of herbs”.The seeds and leaves of basil are filled with medicinal properties. Basil is an awesome source of iron and thus imitates natural estrogen that helps in treating irregular menstrual cycle. For magical results, make a paste 7-10 basil leaves and add half table spoon of black pepper powder, one tablespoon of honey in it. Consume this for every day for at leat 3 to 7 weeks. No one can deny the million dollar health benefits of ginger. 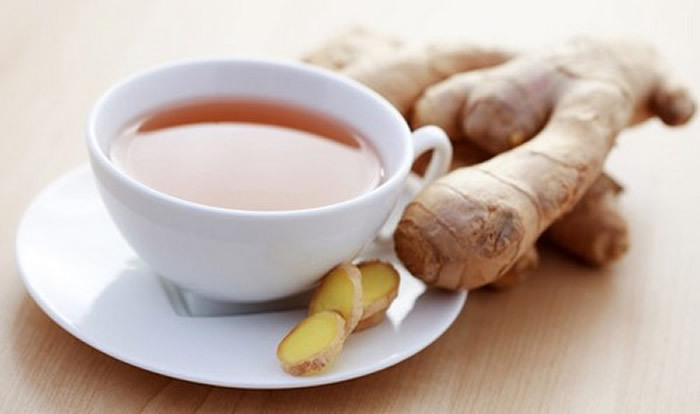 Ginger is very effective for those women who are suffering from delayed periods. 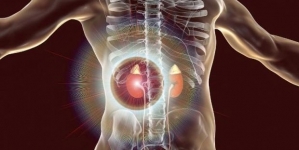 It also promotes menstruation flow and also relieves women from the unbearable pain. Follow this instruction and enjoy the regular menstrual cycle. In a cup of a water boil half tablespoon of ginger for five minutes. Add a little quantity of sugar in it and drink it three times in a day after meal. Carry on this for almost one month. A Hot compress applied over your lower abdomen will heat up your body and make your menstruation cycle regular. A heating pad or a hot water bottle is another excellent option. A very relaxing method is to lying in a hot bath tub for around 40 minutes daily for 20 days. It helps and act like a relaxing massage for your whole body. Just relax while following this tip just calm. With overweight, you become the victim of many diseases very easily. 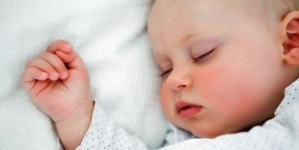 The basic reason observed behind mostly irregular period is overweight. So for this start a walk of an hour in morning and also drink plenty of water stop eating junk food and control your belly fat. Parsley is widely used in European, Middle Eastern, and American cooking. The Curly leaf of parsley is often used as a garnish. Here we share its very important healthy factor. it contains apiol which supports for regulating and normalizing your menstrual cycle. 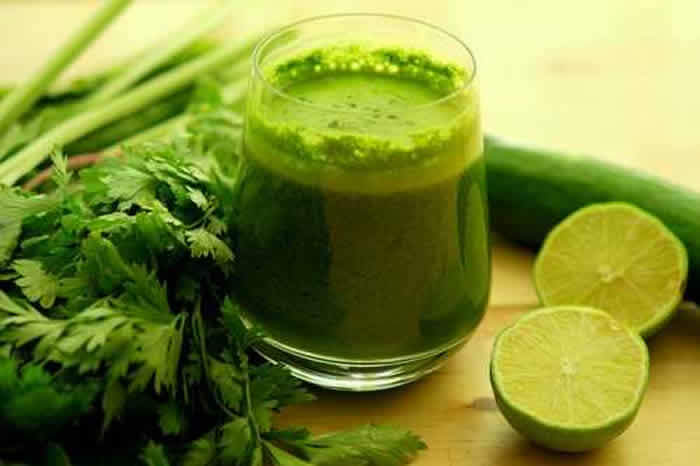 With one glass of magical parsley juice, every day will make your menstrual cycle regular and yeah healthy also. Leaves of parsley put in a juicer also add one glass water wit little sugar for little sweetness so you can drink it easily. Fennel is a hardy, perennial herb with yellow flowers and feathery leaves. 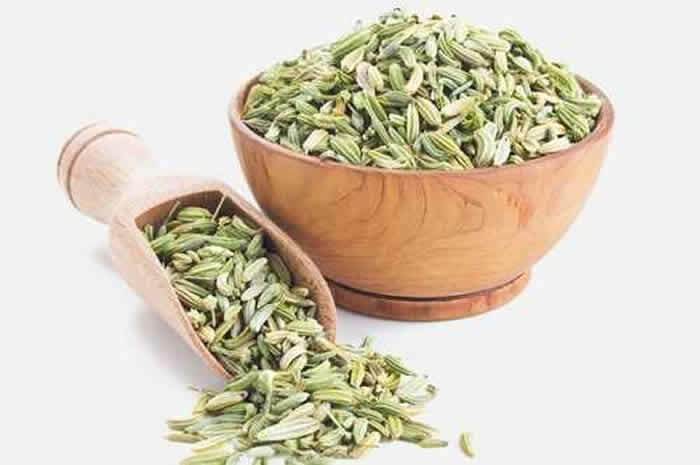 A fantastic herb for the treatment of irregular menstrual periods. This herb acts as a strong emmenagogue and its anti-inflammatory properties also help in relieving menstrual pain and abdominal cramps. So ladies you just have to take two tablespoons of fennel seeds in a glass of water overnight. when you get up in morning just strain it and drink. After one month you are surprised when your periods come on time.